1. Do fairness creams work? Skin lightening creams contain certain chemicals which decrease the melanin ( pigment responsible for giving colour to the skin) concentration either by decreasing its synthesis ( eg: hydroquinone, kojic acid , arbutin etc.) or by increasing the cell turn over rate of the skin, thereby increasing the shedding of hyperpigmented cells ( skin keeps shedding its topmost layer as the new skin keeps forming underneath). So fairness creams do improve the skin tone by a shade or so but more important questions are whether the results achieved are sustainable and are these creams safe on long term use. Avoid all formulations containing hydroquinone and mercury since these do more harm than good to your skin on long term use. Others containing natural skin lighteners like kojic acid, arbutin , licorice etc. are still safe for they are plant extracts. 2. Can spots & blemishes be treated permanently? Yes certainly, one can get rid of dark spots/blemishes/post inflammatory pigmentation permanently. 2. Put sunscreen with SPF 30 every three hours during the day. Take other sun-protective measures too. 1. Use a cream containing kligmans formula ( 4% hydroquinone, 0.1% tretinoin, 0.1% dexamethasone). Take care that it has to be used only and only at night, a peanut size is enough for entire face, don’t apply around eyes, strictly stop after 8 weeks and consult a dermatologist regarding further use or in case of any redness / irritation appears. 1. Few sessions of chemical peels done fortnightly with either glycolic acid /salicylic acid /TCA or tretinoin will give you early and more effective relief from the pigmentation. Peels helps in shedding of the pigmented layers of the skin relieving the new skin beneath. Yes, it’s safe if done under experienced hands using all precautions. 2. Resort to laser sessions with Nd:Yag Q Switched Laser to get rid of PIH only if above modalities fail. 1. Take diet rich in vitamin C like Indian gooseberies, oranges etc. Take vit. C supplements like Tab. Limcee every day for two months. 3. What is the easiest way to tackle blackheads? Get them removed by a comedone exctractor at any good aesthetic clinic. A single session of fifteen is all that it takes to get rid of blackheads. To prevent recurrence use salicylic acid based face wash (Speelac face wash) twice a day. Use Tretinoin cream at night over the nose (apply only pea nut size cream, not more than that). You can also opt for few sessions of salicylic acid based peels done fortnightly done at an aesthetic clinic. Walnuts scrubs used at home at weekly interval would help too to prevent recurrence. 4. Can changing the shampoo cause hair fall? No changing the shampoo per se won’t lead to hair fall but in case, the new shampoo doesn’t suit your hair type or if you are allergic to any of its ingredients, then it might lead to hair fall. Say For eg: you dry hair and you switch to a shampoo which leaves your hair even drier ( eg: antidandruff shampoos), there is a possibility of ending up with excessive hair fall. One needs mild anti-dry shampoo for dry hair. So choose shampoo according to your hair type and changing to another good quality shampoo per se won’t cause hair fall. 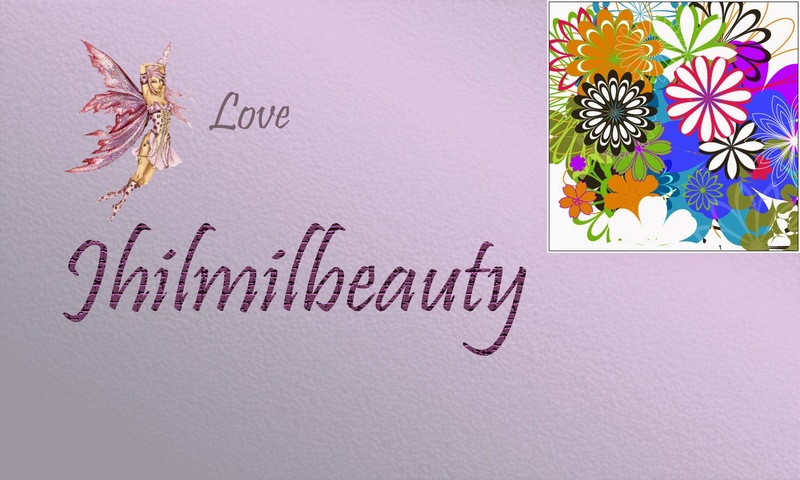 So, here is what MyDermacy and Beauty & Beyond have come up with. We will be running a week long session where each one of you can participate and come up with any questions and doubts regarding skin care. And the experts will provide the perfect answers and guide you accordingly. All you have to do is ask your questions in the Comments section below, or on the Facebook post, or on the Twitter post. And your queries will be resolved ASAP by the dermatologist of MyDermacy. 3. Post your queries in the comments below. You can post as many questions as you like. 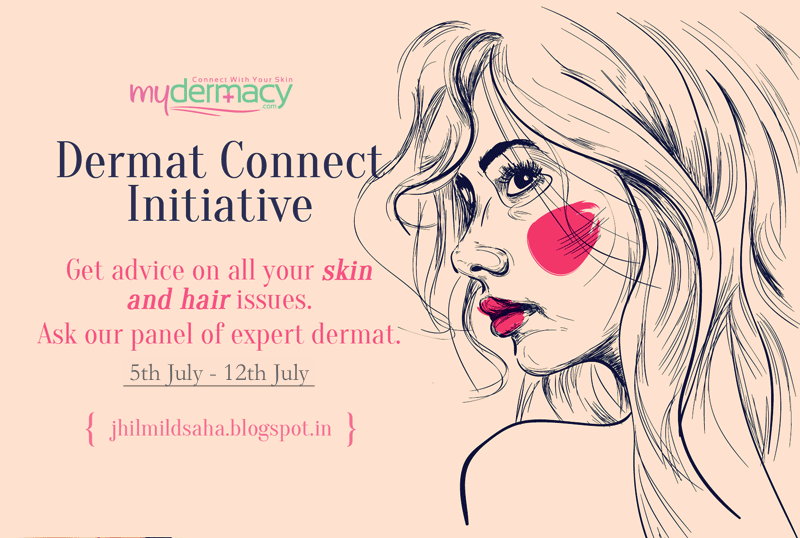 4..You can post your queries on Facebook or tweet me your questions with #DermatConnect ! I will pass them on to the doctors. 5. Ask specific questions and include any enough details to prescribe personalized solutions. 6. If the question is too personal, feel free to message me on Facebook or email me at jhilmildsaha@yahoo.in with Subject DermatConnect, and I will reply back with the answer maintaining your anonymity! 7.The doctors will be available till the 12th of July, so make sure you let all your friends know!